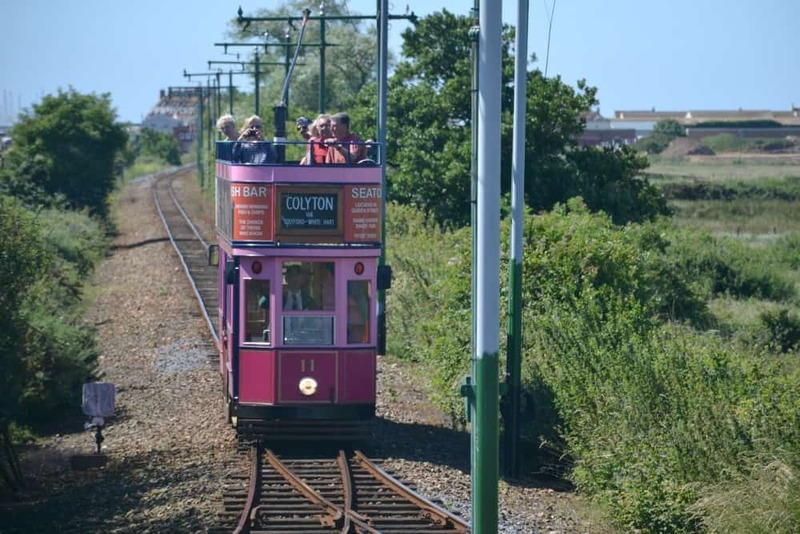 I’ve written about Seaton Tramway a couple of times but hadn’t visited until the summer while staying at Andrewshayes Holiday Park. What a gem of a Devon day out! 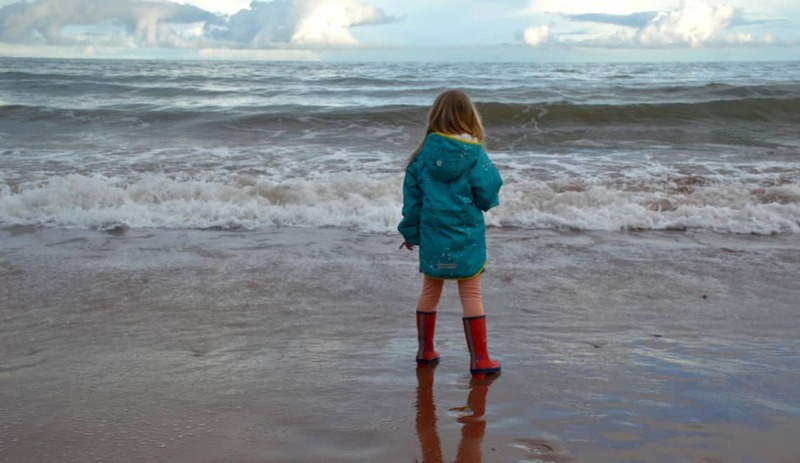 If you’re looking for things to do around East Devon then add this to your bucket list. 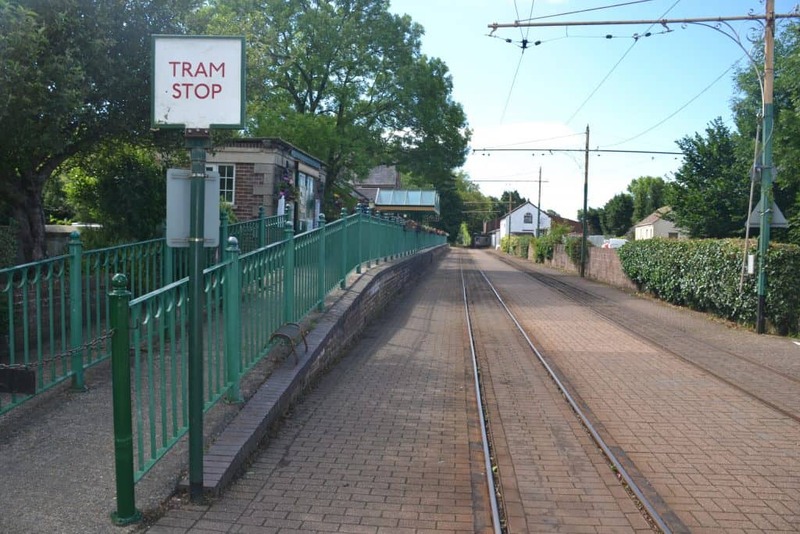 The stations, formally part of a British Railways branch line, proudly display their historic features and the trams speak of a more leisurely era of travel. They originally came to East Devon in the 1970s and have been a popular tourist attraction ever since. What child doesn’t love a locomotive of some sort? Sure, the trams run on overhead electricity lines but they can ‘toot toot’ with the very best. 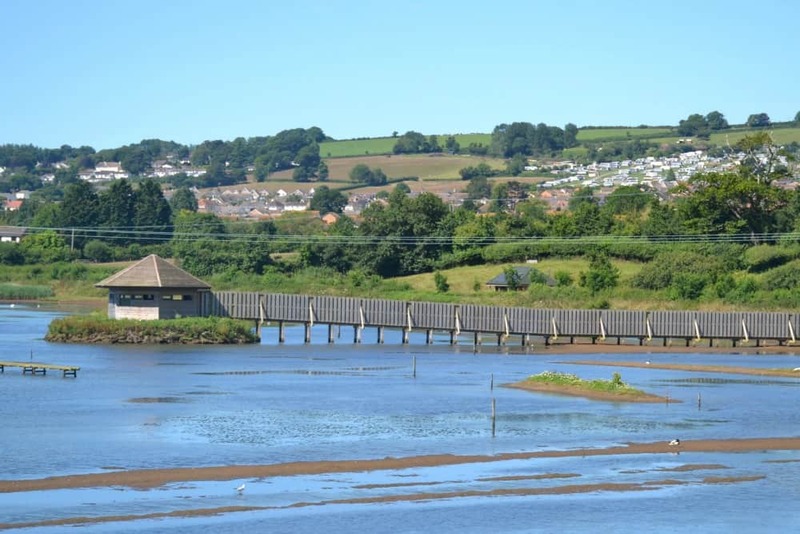 Seaton’s heritage tramline is three miles long and travels through two nature reserves between Colyton and the coast. The landscape is wonderful and you’re bound to see plenty of wildlife along the route. This was one of those great days out where Tin Box Dog could join us. She even got her own collar band! 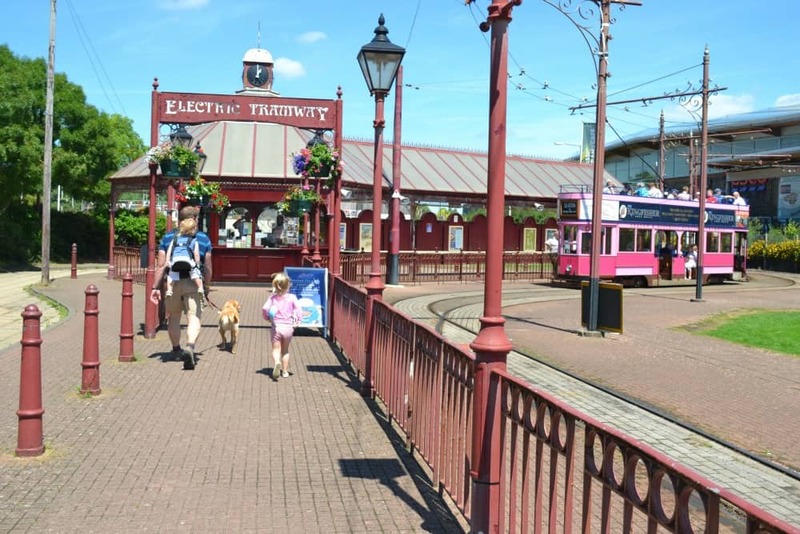 Seaton Tramway allows dogs to ride in the downstairs seating area. 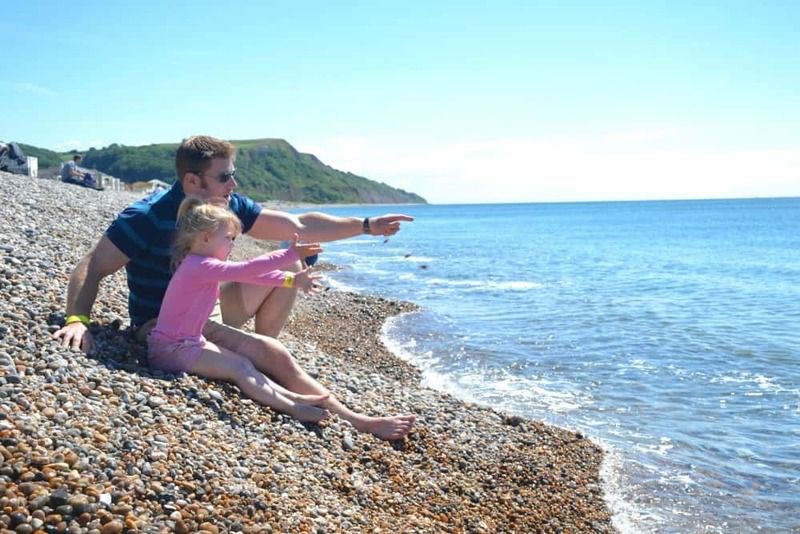 There’s also the added bonus of a dog-friendly beach at Seaton when you get there. It wasn’t just Tin Box Dog who was taken with the sea view when we arrived in the seaside town of Seaton. 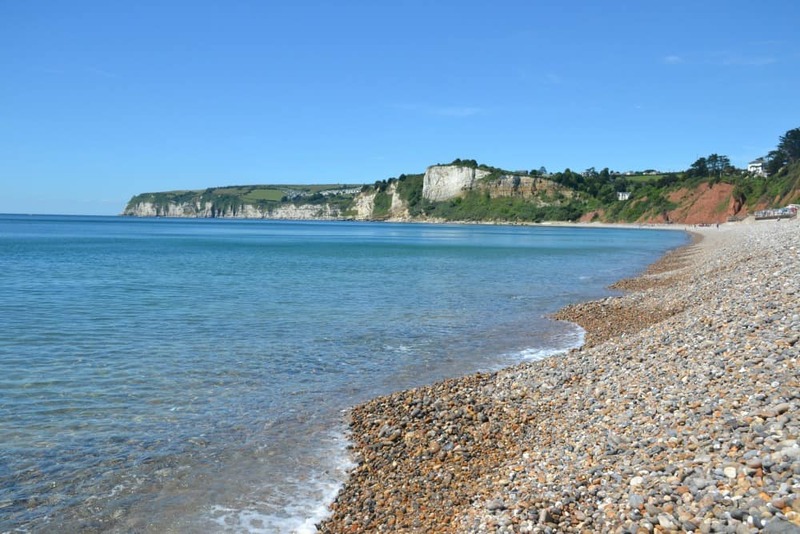 Within five minutes of leaving the tram you can be wandering along this beautiful seafront on Devon’s Jurassic Coast. 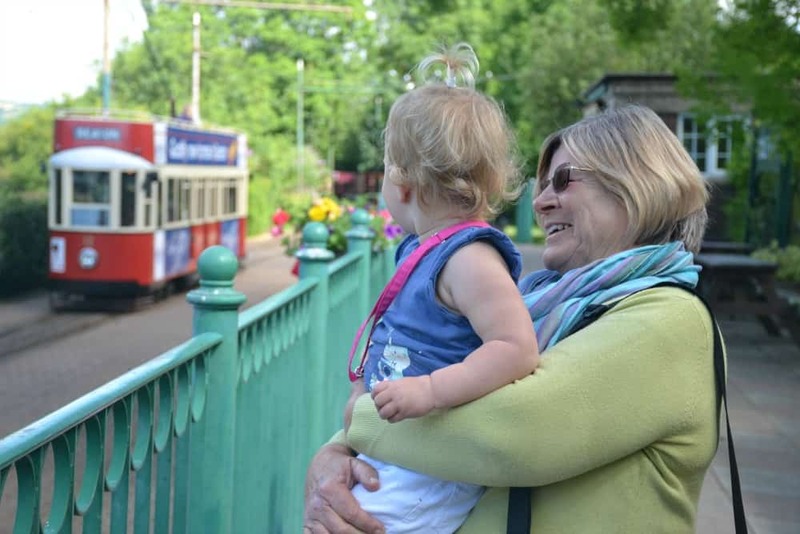 There’s also plenty of places to stop for a bite to eat or an all important ice cream before you catch the tram back to Colyton. As well as exploring the two end destinations on the Seaton Tramway line there’s a stop at Colyford half way where the pubs come highly recommended. There’s a cafe at Colyton Station serving reasonably priced snacks, small plates and main meals as well as a kids menu and cakes. 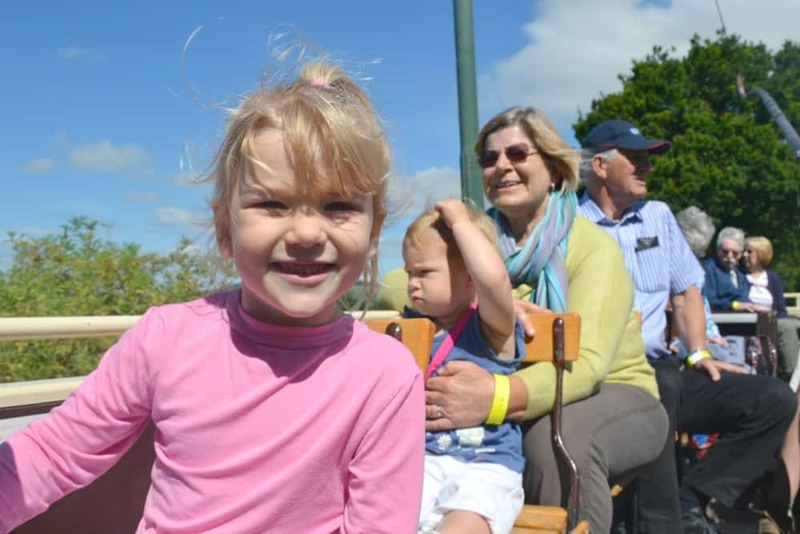 Keep an eye out for the tramway’s special daily events during the school holidays. Halloween and Christmas rides in particular look a treat! 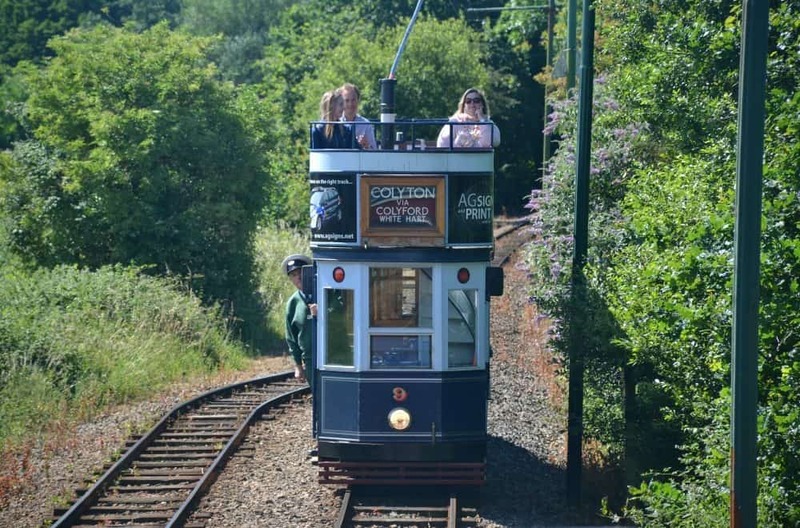 Find out more about Seaton Tramway and the special events held on this heritage tram line on its website. Ah it looks so fun! I love that dogs can climb aboard too. The views are lovely. Nevermind the kids, I love a ride on a tram too! It was brilliant and we had the best days weather for it!